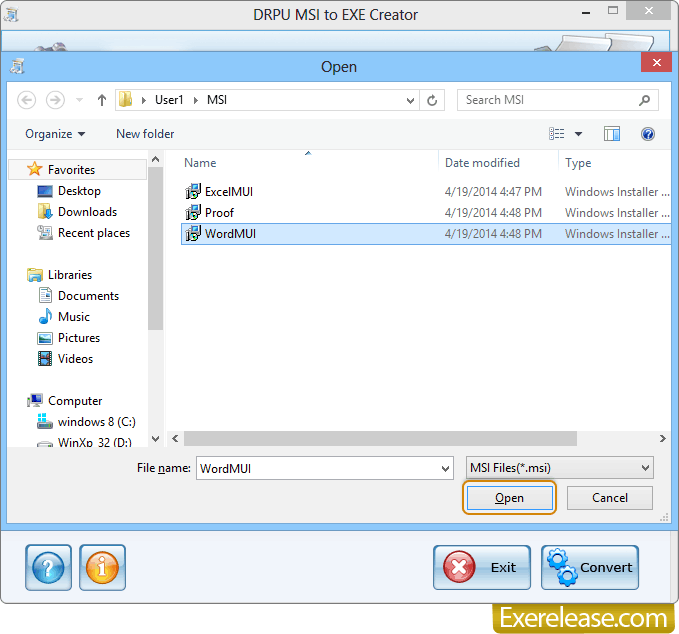 Select .msi file from given files to convert into .exe file format and then click on “Open” button. 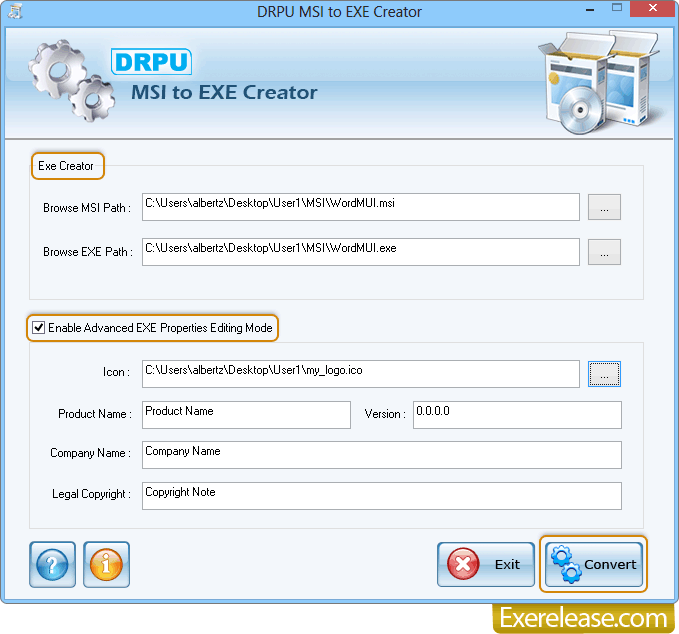 First of all Browse MSI Path to convert .msi file into .exe file format then browse EXE Path to save converted .exe file and Enable Advanced EXE Properties Editing Mode. Now Go to the 'Convert' button to start conversion process.